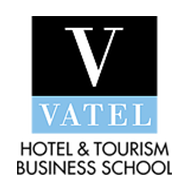 Founded in 1981 in Paris, France, Vatel is today firmly established as one of the world’s leading hotel schools with the mission to develop future senior managers of the hospitality and tourism industry. The Bachelor’s Degree in International Hotel Management programme’s objective is to train students for operational and administrative management positions. The faculty strives to attain outrivaled teaching standards by pushing back the boundaries in their respective disciplines and coursework complements practical training, cultural and technical seminars. Vatel’s curriculum is specially designed to provide a career-orientated education that links academic theory and practice, and integrating out-of-classroom immersive programmes. Vatel is a private school of higher education registered by the French Ministry of Education. Recognised globally, Vatel degrees are French State certified university degrees registered in the National List of Certification by Ministerial Order. 30,000 strong, Vatel has one of the most international, professionally experienced and socially active alumni networks of any hospitality schools in the world. Students and alumni can leverage this network for career advancement. Won Worldwide Hospitality Award for the Best Training Program, and again in 2010 for the Best Professional Success and Best Educational Innovation. IFOP (French Institute of Public Opinion) also ranked Vatel as the top school in Europe for hotel and tourism in 2007. Since we are going to the hospitality industry, this is a good place to be in order to know how to work with different kinds of people, different kinds of culture and norms. Studying in Vatel Singapore helps me to have a wider vision in the international hospitality industry, as well as developing my international skills set. Vatel Singapore offers a really diverse and multi-cultural learning environment. I manage to expand my social networks in and out of the classroom. The immersive programmes gave us an amazing insight of the industry and the working experience was definitely an eye-opener. Vatel Singapore is the place where I have the opportunity to find out what I want for my future hospitality career. My Vatel experience helped me to find myself, to be a better team player, take the leading position, find the strength of your team, distribute accordingly to achieve a better result. Vatel allows me to meet friends from all over the countries. And my lecturers who shared with me their extensive knowledge and their rich experiences. A big thank you to the lecturers and staffs of Vatel Singapore for giving me so many wonderful memories. This reception was organised by a diverse group of students from Vatel’s Bachelor’s Degree in International Hotel Management programme, which aim to provide a convenient platform for hospitality industry professionals to engage in an afternoon of interaction and insightful discussions over a glass of wine. In this immersion, students have to job-shadow employees, observe the operations, provide recommendations for any issues, and then complete a write-up. Such an immersive learning programme also provided students with professional development experience, as well as an in-depth understanding of the over-arching hotel operational and managerial processes of this respective hospitality establishment. This cross-level roleplay activity provided an opportunity for Vatel Bachelor’s Degree students to take on the roles of Hiring Managers and Recruitment Consultant. They were involved in some facets of hiring processes such as facilitating mock interviews and analysing resumes submitted by Diploma students. © Copyright 2016 – SDH Institute – All Rights Reserved.